A customer journey can become pretty complex. Master the skill of mapping customer behavior across the funnel, and outperform the competition while you can. Here are three things you can do to optimize every customer journey. Put yourself in your customers’ shoes. Understanding how customers behave across the funnel will certainly improve company performance. Stats show that high performing teams are almost 10 times as likely to “actively map the customer journey” than underperforming teams. No wonder that the customer journey is more popular than ever. Google searches for “customer journey” have increased 10 fold over 5 years. But at this point, a Google search is pretty much where the operation stops for many marketers. Customer journey mapping is “on the radar” of many, but quite few have managed to actually map the behavior of their customers. At this point, “not tracking marketing performance at all” is still the most popular “measuring” method, according to this marketing maturity report. Almost everyone is talking the talk, but few are taking the steps needed to walk the walk. Have marketers just given up? It looks like the majority is just looking at what others are doing. Now is the time for you to get ahead of the competition. While everybody else is leaning up against the wall, you’re the first to get on the dance floor. The party is about to get started. Make a good impression early, and you’ll go home with the prize soon after. Every marketer has drafted a map of the customer journey at some point. But be honest, how often have your customers actually followed your model? Almost inevitably, customer behavior turns out to be much more unpredictable in practice than your brand new model would suggest. As it turns out, reality doesn’t bend itself to rigid, linear journey models. And with more and more data points collected, don’t expect things to get much easier either. The customer journey is becoming more fragmented and complex every day. There are now more channels, platforms, devices and messages than ever before. Customers want you to know which information they need to make the decision to purchase. 1/3 of consumer bought from a different vendor than expected, because they presented precisely the right info. As a supplier, you need to measure the entire customer journey to know which piece of content, on which platform, using which channel, at which time will be most effective. Here are three steps YOU should take to make your customer complete THEIR journey. Illuminate the darkness. Shine a light on your customers. Before you do anything else, you should know what customers are doing. Find out which path they go through before they decide to pull out their wallet. If you follow step 1, you can now get a good idea of how customers behave, which of them have reached the bottom of your funnel, and which seeped out through the cracks. You can use that knowledge to facilitate a flawless journey through the funnel. Start tweaking touchpoints. You expect a small change in website layout will make customers spend more on average? Go do it! Change colors of buttons, rewrite texts, reconsider advertisements and check-out screens. The possibilities are endless. Make note of your site’s performance before you change anything, then make your adjustments, and see if there’s any improvement. Keep in mind though, there’s no need to do everything at once. Make many small improvements over time. Improving the customer journey is a journey for you, the producer, as well. When you’ve tweaked touchpoints effectively to make the customer journey quicker and more efficient, you’re not done yet. It’s great that more people reach the bottom of your funnel now, but getting people to spend their money once is only the beginning of the story. The real journey just started. 80% of revenue can come from repeat sales. Post-purchase is where the money’s at. Retaining customers is roughly 7 times less expensive than attracting new ones. And bad experiences lead to churn in 2/3 times. 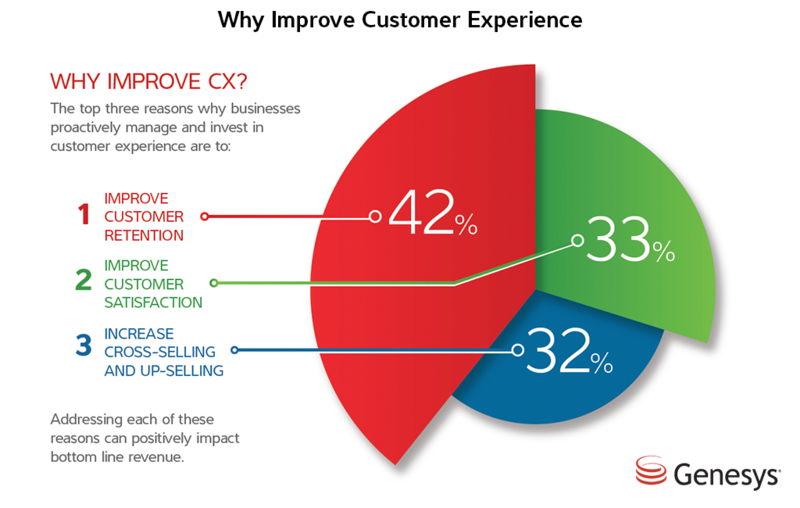 Stats show that 42% of companies use CX improvements to improve retention. Make a habit of optimizing touchpoints. Keep an eye on the performance numbers in your attribution tool, and craft an ever more pleasant customer experience over time. Knowledge is power. With LeadsRx you can monitor each step taken by each individual. When you’ve mapped customer behavior across the funnel, you have all the insight you need to minimize churn and maximize customer lifetime value.